← Bright Side Blog Bash– Day 3!! 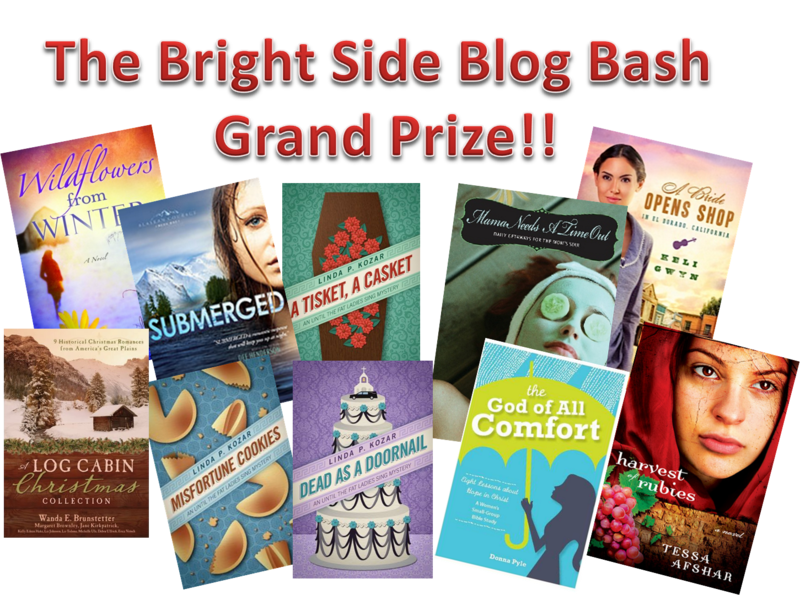 Bright Side Blog Bash Day 4!! **Don’t forget to visit Lacie’s Blog to enter to win her prize pack for today! 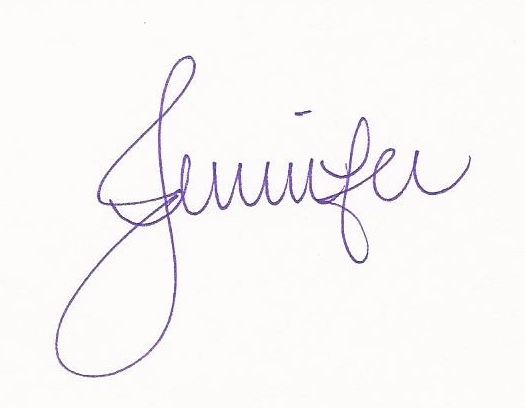 Let’s begin by announcing yesterday’s winner of the All About Women Wednesday prize pack! Make sure you email me asap and send me your shipping address! I’m sorry, readers, but there’s no vlog today. I had good intentions, but unfortunately I had a rough day yesterday as far as morning sickness goes, so I wasn’t able to get my vlog recorded. But that’s okay! We’ve got an AMAZING prize pack for today’s giveaway! 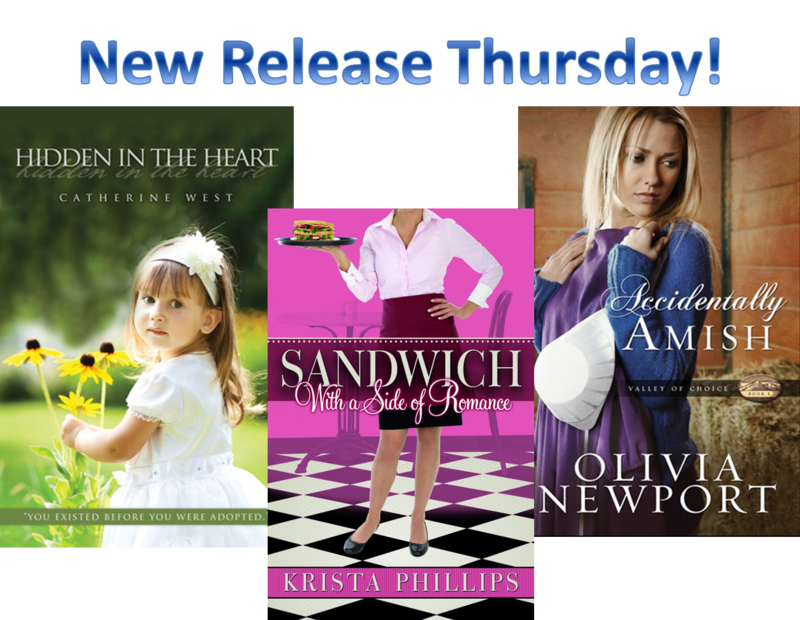 A 3-pack of books– all of these are BRAND NEW RELEASES!! I’m dying to read all of these myself, so I know you will be, too! Would you like to win this prize pack? I know you would! In order to win, answer the following question in the comments below: (This question is in honor of Krista’s book) What is your favorite kind of sandwich? I am a total sandwich junkie. There’s no sandwich I’ll turn down. I LOVE them. One of my favorite kinds of sandwich is a family recipe that my uncle made up that we call The Woggie. It’s roast beef and swiss with our family’s homemade dressing toasted on pumpernickle bread. My mouth is watering. 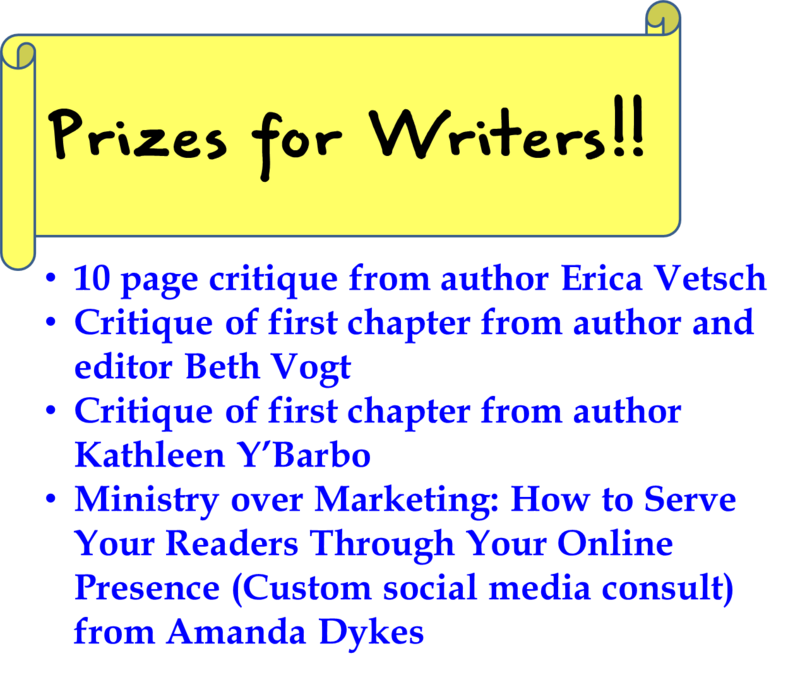 Writers– don’t forget to enter your blurbs for the writer-prizes! And don’t forget about the GRAND PRIZE!! Good luck everyone! Can’t wait to read your responses! my favourite sandwich would have to be a salad sandwich on a multi-grain roll or bread. The key ingredient is beetroot, so moist and loads of flavour. I like lots of lettuce, tomato, grated carrot and a little onion and cucumber. It’s deliciously healthy. One of my favorite sandwiches would have to be peanut butter and banana, although peanut butter and honey is a close second. With two small kiddos, peanut butter is a staple in our house these days! my favourite sandwich is…grilled cheese. My favorite sandwich is a toss up between peanut butter and honey and my husband’s “fancy sandwiches, which has any number of meat and cheese types, but is toasted on a sandwich press which was given to us as a wedding present. A s’more. With Jersey Milk chocolate. Mmmmmmmmmm. Thanks for the awesome giveaway, such great prizes!! One of my fave sandwiches is something Denny’s serves with the most delicious fries 🙂 It’s called The Super Bird; a turkey sandwich with cheese, bacon, and tomato……but I always order it without cheese. Great question, I heard about your blog from Sarah Forgrave 🙂 Best wishes to the other entrants (so many great sandwiches listed)! My favorite sandwhich would either be chicken salad or a BLT! Now I’m hungry! My favorite sandwich is a grilled chicken caesar sandwich on foccacia bread – yum! I have many favorite sandwiches but the one at the top of the list is an Italian Hoagie from my favorite sandwich shop in southern NJ. 🙂 I’m getting hungry just thinking about it! Thanks for offering the giveaway. I came over from Sarah Forgrave’s blog. I am glad I did! In 4th grade a friend and I created the first PEANUT BUTTER AND MUSTARD sandwich! Ask my grown kids what their moms’ favorite sandwich is….& they’ll tell you PB&M! Good dense dark bread. Mayo. Roast beef (really good deli RB). Colby-jack cheese. Onion slivers. Dill slices. Lettuce. Smack ’em good. My favorite sandwich is chicken salad on a croissant. I don’t have it often but really like it. These books look great. Thanks for the chance to win. I love the traditional BLT! Oh, wow! I’m just finding this blog. What great prizes. My favorite sandwich–peanut butter and tomato. Great Blog! My favorite sandwich is the good old fashioned “Reuben” with lots of sauerkraut, thousand island dressing, Swiss cheese, on rye bread grilled to perfection. YUM!